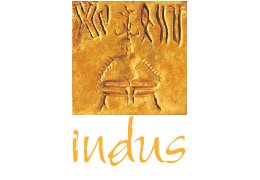 Indus Restaurant (est. 2004) is the proud winner of countless Best Restaurant awards in Thailand and since opening has maintained high standards of taste and quality in Indian cuisine. Executive Chef Jimmy has been with INDUS from the very beginning and has been trained by Chef Sonya Sapru, author of international best-selling cookbook “ZAIKA”. Being of Kashmiri Pundit heritage, Sonya was able to preserve her family’s Kashmiri-influenced Mughlai recipes for over 6 generations and pass them on to Chef Jimmy. Instead of using the traditional Indian clarified butter “Ghee”, we use Rice Bran Oil, a far healthier option known to reduce cholesterol. Our recipes have been tried and tested to maintain the authentic rich Indian flavors with a lighter, healthier twist.